During the meeting, according to a source in attendance, a few people asked what was going on. What was going to happen to them? What was the future of LucasArts, the LucasFilm subsidiary and 30-year-old video game studio responsible for a number of beloved games? “It’s business as usual,” Iger answered, according to our source. Six months later, Disney shut down LucasArts. All games in production were cancelled. Business as usual. In late 2011, then-LucasArts president Paul Meegan told the website MCV that he had overhauled the studio's teams and started production on a number of different games. When Meegan made those proclamations, LucasArts was working on a number of different games, multiple sources have confirmed to Kotaku. One of those games was Star Wars 1313. Another was Star Wars: First Assault. And then there were others, like Outpost, a social game that was to be the Star Wars version of FarmVille. There was an iOS game, and a project headed up by well-respected Splinter Cell designer Clint Hocking. In the coming months, every single one of these games would be cancelled or overhauled. Star Wars 1313 shifted directions multiple times, while First Assault was scaled down significantly. Outpost and the iOS game were axed. Hocking left the company, and Meegan would go on to leave too. Still, LucasArts intended to announce Star Wars: First Assault as an XBLA title in late September of 2012. They planned to release the game this spring. But hours before the scheduled announcement, word came down that it was on hold. A couple months later, Disney announced that they had purchased LucasFilm and all of its subsidiaries, including LucasArts. That's when staff started to worry about their future there. "Everything Disney would tell us would be, 'business as usual, business as usual,'" a source said. "We lost any transparency we had to the executive level." We reached out to Disney and LucasFilm this morning, but they declined to comment for this story. In the coming months, up until just a couple of weeks ago, LucasArts staff were working on three projects: Star Wars: First Assault, Star Wars 1313, and a smaller project internally referred to as “Version Two,” according to two sources familiar with the situation. In the video, you can see all sorts of vehicle combat: the player, looking from a first-person perspective, zips around in X-Wings and AT-AT Walkers while shooting down TIE Fighters and other Star Wars-y vehicles. The art isn't final, but the combat looks very cool: one section, for example, shows multiple players riding on hoverbikes and shooting lasers at everything in their paths. First Assault, as we reported a few weeks ago, didn't have any vehicles. Version Two did. This is because, according to multiple sources, developers at LucasArts planned to turn Version Two into Star Wars: Battlefront III, the highly-anticipated third game in the Battlefront shooter series that has shuffled from developer to developer over the past few years. This time, LucasArts hoped to make it themselves. In January, a month after the massacre in Newtown, Connecticut, Disney’s Iger came out and said they would be taking a close look at the violence in their video games. There were two more events that led LucasArts employees to believe that the end was near, a source told me. The first was in March, when Kotaku leaked details and videos from Star Wars: First Assault, which still hadn’t been announced. “When Disney didn’t make lemonade out of lemons there, they didn’t use that as a marketing opportunity. They didn’t do anything,” a source said. That’s when they knew things were bad. The day after Kotaku put up video footage from First Assault, LucasArts had a meeting, that source said. The second point when LucasArts employees knew that something had gone wrong was just before GDC, when, according to a source, they were given strict guidelines about what they could and could not say. First Assault developers were allowed to say they were working on a first-person shooter in the Star Wars universe, that source told me, but they couldn’t name the game, even though it was already out there. 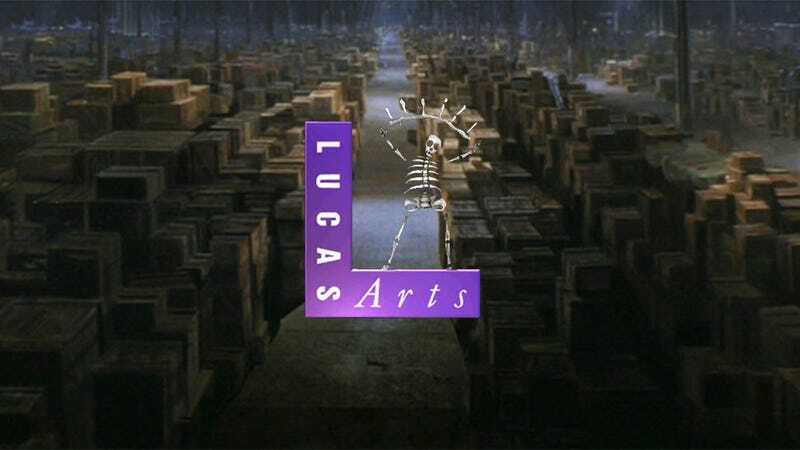 By this point, rumors had already been circulating that LucasArts might shut down. According to one source present at the pre-GDC meeting, executives acknowledged that rumor but wouldn’t confirm or deny it. “Luckily, many of us saw the writing on the wall and took GDC as an opportunity,” said the source. Last week, Disney shut down LucasArts. Although LucasFilm says they could license out games like Star Wars 1313 or First Assault to be finished by other developers, I’ve talked to three sources who don’t think that’s likely. “Disney says they're shopping [First Assault] around to other outlets to see if they want to finish it, but we don't think that's gonna happen,” a source said. The big rumor floating around LucasArts circles—something we have not been able to confirm, but that has been relayed to us by two different sources—is that EA was considering buying LucasArts, but that some combination of the SimCity debacle and CEO John Riccitiello’s departure put an end to those plans. We reached out to EA two days ago for comment on this, but they haven’t gotten back to us. UPDATE: EA has responded with a statement from labels president Frank Gibeau: "The entire game industry is in transition as we build more efficient organizations to deliver games on popular new platforms like mobile and consoles. EA is not currently considering any major acquisitions." The shutdown of LucasArts has left the fate of Star Wars video games unclear. Will Disney license Star Wars to other publishers? Will they publish games made by external developers? Will we see more games like Star Wars Kinect? One thing's for sure: it won't be business as usual. Clarification: An early version of this story implied that Bob Iger's meeting was only with LucasArts. It was actually a company-wide meeting.